What exactly is the difference between one kind of avalanche transceiver and another? And how do I know which one is best for me? Once upon a time, transceivers came in one straightforward flavor—analog. Now we have analog, digital and “digital-plus.” So what’s the difference? When in search mode, the old, simple, one-antenna analog units, like Ortovox’s F1, convert the signals of other beacons into audible beeps and basic directional LEDs. If there are three buried beacons, you’ll hear three distinct beeps—with closer units producing louder beeps—though you will only see the LEDs for the closest beacon. The downside of analog transceivers? They can’t tell you exactly how far it is to a buried beacon. 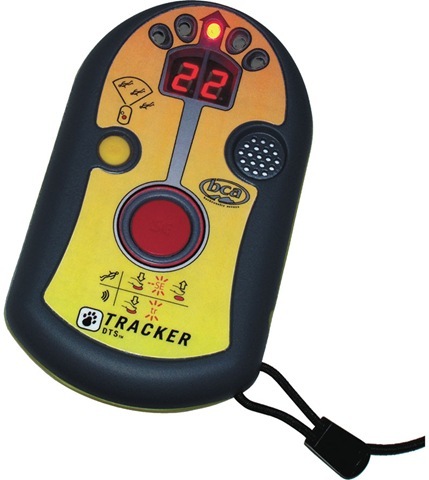 Digital transceivers roared onto the scene roughly 10 years ago in the form of the ever-popular, Backcountry Access Digital Tracker DTS. Simply put, they utilize a microprocessor and multiple antennas to analyze incoming signals. The signals are converted to vivid sound cues, directional LEDs and, most helpfully, numeric distance read-outs that greatly aid in directing you to the closest victim. The downside to a standard digital beacon is that when searching for multiple burials, you only hear and “see” the closest burial. The newest beacons, the “digital-plus” models from Europe (Barryvox Pulse, Pieps DSP, Ortovox S1, Arva 3Axes) come equipped with three antennas, a liquid crystal display, a longer search range and, most importantly, software that is capable of “seeing” and displaying data on several buried beacons simultaneously. This software additionally allows you to “mark” or “flag” each victim you find, freeing the unit to track down the next closest beacon. A debate is percolating around whether the newer units are becoming too complex and expensive for the average user. One side says “keep it simple.” Multiple burials are rare enough that you should not over-complicate the device and or overload the recreational user with unneeded technology. The other side says, “Let’s engineer for the worst-case scenario.” Both sides present compelling arguments and can brandish stats and studies to support their viewpoints. So which transceiver to buy? Though a surprising number of low-priced analog units sell each year, I’d pass on them. For just a bit more, you can step up to the swift, proven digital technology of the BCA Tracker DTS ($290) or the Ortovox D3 ($315). Single-burial searches are a breeze with both these units and they manage multiple burials fairly well. However, if the thought of “worst-case multiple burial scenarios” keeps you tossing and turning in the wee hours and you can spend an additional $150–$250, I wouldn’t hesitate to purchase one of the state-of-the-art digital-plus units. While each possesses a unique and potent personality—not to mention the capability for software upgrades—my tip of the hat goes to the Ortovox S1 ($529) with its clever, ultra-intuitive screen that visually “maps” out up to three buried beacons using human body icons and numeric distance readouts. Just remember, nowhere does the old aphorism “a little knowledge is a dangerous thing” resonate more than when wearing a transceiver in avalanche terrain. Every transceiver, even the modest analog models, can be an effective life-saver—but only when in the hands of calm, practiced searchers who knowingly and willingly stay out of avalanche-prone situations in the first place. Brian Litz is the author of Colorado Hut to Hut.